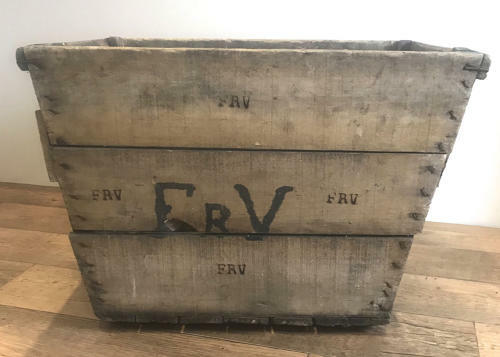 Early 20th century wooden Champagne crate. Used in France for the harvesting of grapes for Champagne making. Circa 1920.